I had my first taste of ramps for the season at Hellbender Burritos in Davis tonight. Their special was a Ramp and Cheese Quesadilla with ranch dressing…it was great! I prefer my ramps cooked as in the quesadilla. If you’ve never had a ramp, it’s the first harbinger of spring here in the mountains of West Virginia. It tastes like a garlicky green onion and is delicious in eggs, quiche, and potatoes or anything else you’d like to put onions in… Some people eat them raw too, but they are pretty strong that way and give your breath quite a unique aroma. Ramps grow right out the back door here in Canaan Valley, WV. This time of year, I’m craving fresh greens and eating ramps is one way to fill that void. I love the green tops of the ramps, as much as the onion like bulb at the bottom. 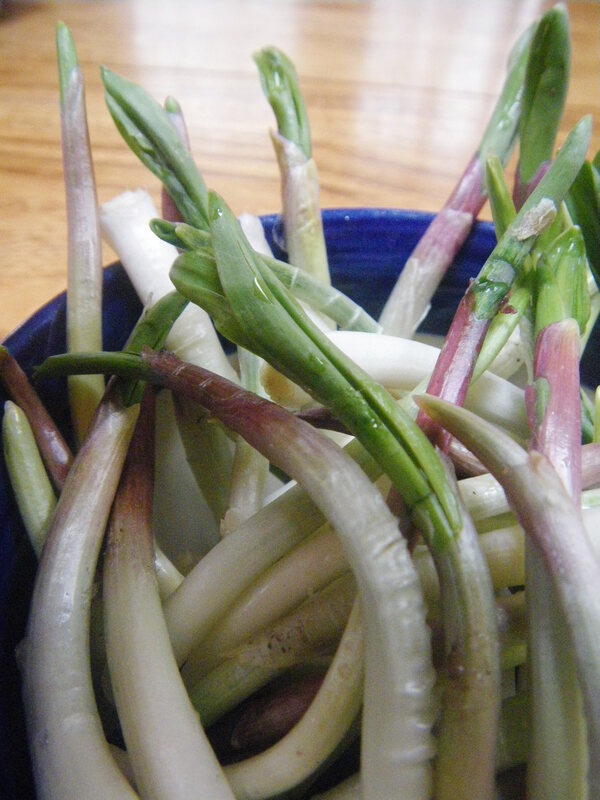 We have ramps available during the Springtime and then they are done growing and go to seed. http://www.starchefs.com/features/ramps/html/index.shtml This site has some recipe ideas from chefs who use them in their restaurants. This entry was posted in Kitchen Tips and tagged canaan valley, hellbender burritos, ramps, spring foods, tucker county, west virginia. Bookmark the permalink. 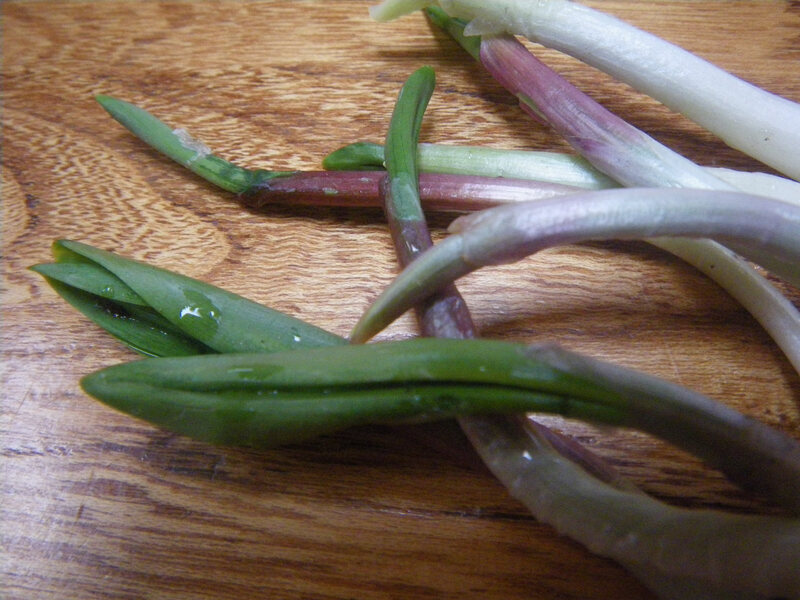 ahh, lovely photos of lovely fresh ramps. beautiful! I second that. Those little stinkers are so cute! I agree Laurie, you’ve got talent! These are some great photos. I would love to see more of your eye for food in the future. Take a camera to the grocery store or farmer’s market and show us what catches your eye, how you make produce decisions, etc.